Many Advised Sania “How To Dress On Pregnancy” !! Sania Gave Them Back & Lashed Out On Them !! Social media is a weird place where all kinds of people exist; while there are those who praise others’ acts and fashion sense, many here look for an opportunity to get some cheap publicity by targeting a celeb over his/her dress or statements. The latest victim of trollers’ mockery is none other than Tennis sensation Sania Mirza who tied the knot with Pakistani cricketer Shoaib Malik. Now the adorable couple is on the way of parenthood and will welcome their first baby soon. 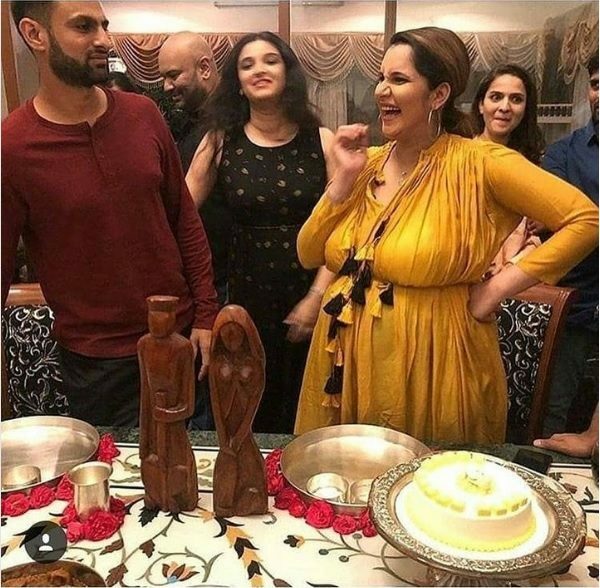 Recently Sania and Shoaib celebrated her baby shower and they seemed to have enjoyed the auspicious occasion to the fullest. Sania is in Hyderabad presently with her parents and sister in the last trimester of her pregnancy and Shoaib also joined them. 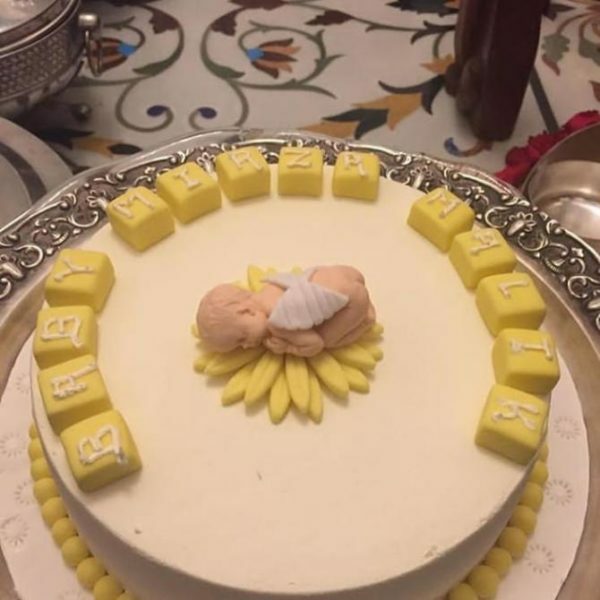 The couple enjoyed Rajasthani Thali and what grabbed people’s attention the most was the beautiful cake on which “Baby Mirza Malik” was written. Well, Sania’s dress did not go well with netizens and a number of people tried to troll her by calling her dressing sense poor, saying that she is looking fatter in this weird dress. Even more disgustingly, many users took a jibe at her changing body-shape and said that she has put on a lot of weight. 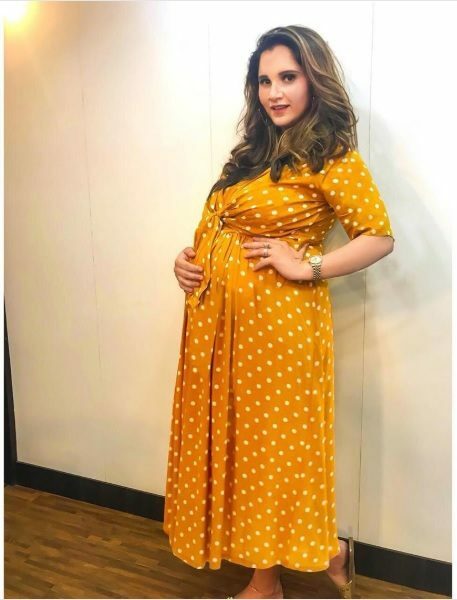 It is quite natural for women to gain weight during pregnancy and trolling Sania for this is a sickening and shameful act on the part of trollers and we strongly condemn it. But as we all know, Sania is not someone who can bear the brunt of trolling. She hit back at haters in a couple of tweets in which she slammed people who ask her to sit back at home instead of being active on social media. She further said that pregnant women are normal human beings and have complete right to live a normal life. Ignore them Queen ❤️ they can’t even achieve the 10% from your entire career. I love you take care of yourself !!!! Wow. They dont deserve your attention, sania. You are completely correct. Being pregnant must be the most natural thing in the World. This should be obvious to any human. We were all born. The men you are referring to are something less than they should be. Shame on them, no shame on any pregnant woman. We completely agree with you Sania! Just ignore haters and enjoy this blessed phase to the fullest. More power to you! Previous article“Vijay Sethupathi Never Thought Of His Fans & Stardom -” Thyagaraja Kumararaja Opens !! Next articleSiddharth Thrashing Them For Not Raising Voice For #MeToo Movement !! People Loving ! !